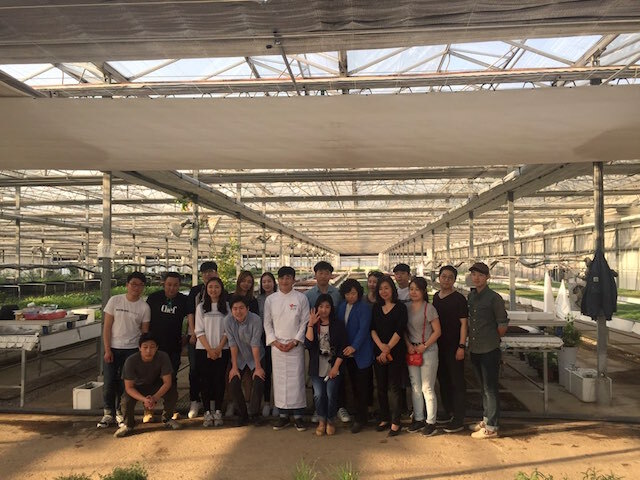 Today we have met Suh Ran Park, founder of GRE-EAT market, a collaborative project that aims to increase awareness about healthy lifestyle and food in Korea by connecting food professionals, organic farmers and consumers. A platform where it would be possible to exchange ideas, knowledge and experiences about food. How did the idea of GRE-EAT come to your mind? It all started with the idea of increase awareness about organic food. Eating organic and sustainable food means saving not only our health but also the environment. By supporting organic farmers, we believe it can help save our life and world as well. Before agricultural industrialization we used to have natural agricultural but this has changed and farmers use many chemicals to grow our food. I believe we have to support organic and natural farmers that don’t use pesticides and chemicals. As a chef myself I also think I have to support good food and healthy ingredients and try to gather people who share same ideas. I also wanted influential people and as many people as possibile who share the same vision. Chefs in our network donate their talent and do the cooking shows and prepare food. Their talent directly influences consumers who trust farmers and we can use the funds collect to support charity programs. How do you choose the people to involve in your project and convince them? I have worked as professional chef for many years and had collaborated on some TV program (6PM, my Home town) as well. This gave me the chance to meet many farmers and other food professionals so I had a network of people who I trust and could involve in GRE-EAT project. It came naturally to convince these food professionals, chefs and farmers because after working for so many years together they trusted me on the personal and professional side. 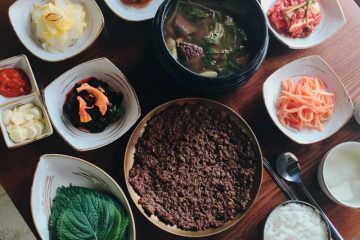 What are the most prominent issues in Korean food industry and necessary steps to solve them, in your opinion? 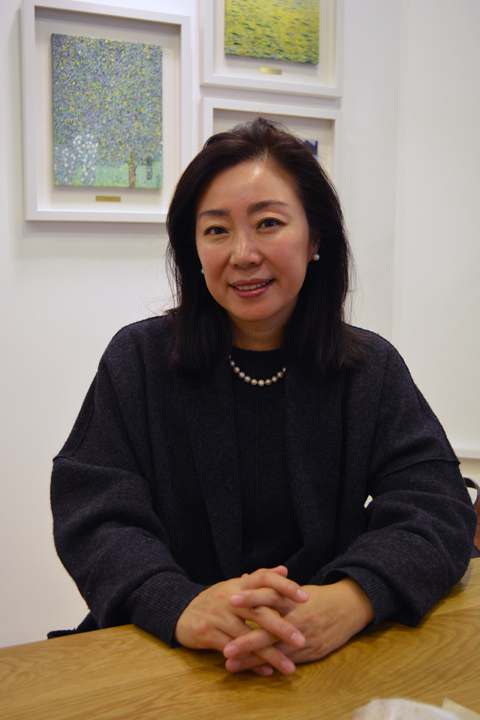 Modern industrialization of food industry in Korea has changed dramatically the food industry. We used to an agricultural society, using natural farming but since 30 years we are exposed to more and more chemicals that are used to grow vegetables and more processed foods. As a mother I also want to use healthy food and in order to do so I focused on more traditional methods of growing food, on direct contact farm to table and man. In the modern society people are working a lot and less and less time for preparing a healthy meal. I want to bring more awareness on healthy lifestyle and ingredients. We can have a simple but healthy meal by using local and seasonal ingredients. Restaurant industry and the growing popularity of western food products have impacted in particular the young consumers. I wanted to create a movement that gathers people together around a table and let them experience food. I think the key to change the trend is a slower life style and use our cooking as healing. To do that mothers and wives should know more about ingredients and how to use them in the kitchen. These days there is a loss of sense of community and sharing that we used to have in the past. This is what I would like to bring back through GRE-EAT. The key of the success is to share ideas, information. Your approach is very different and could be difficult to understand. How exchange of ideas has to be done for being efficiently? How people reacted to the events you have organized? We have to create a new culture, and we have to focus on farmers, food experts first and find the best elements of health that we can share. Organizing many events, meetups and being able to meet as many people as possible, and deliver sincere and honest information. Many people were really interested and for many was first time to experience this kind of new “culture”. We have usually many chefs and food experts working and connecting together and this is also what attracts many people who want to know more and learn. Our is a really unique project also because in Korea chefs are not really connecting each other and we created a platform who connects chefs from different background and age (older and younger chefs, Chinese food, French and so on). I have travelled a lot in Western countries and learned a lot about donation and charity. I wanted to bring this element also in our project in Korea. Why you think to change longer in Korea awareness about eating healthy? 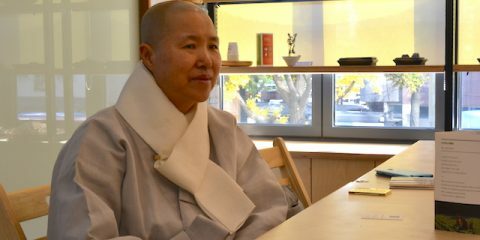 Korean people were living in poverty until 30 years, and majority people used to have only one meal per day and couldn’t think about how the healthy diet, but just feed their own family. GRE-EAT aims to work with small and local farmers and not big retailers and connect them with consumers. Growing network of farmers, chefs and consumers. We want to share the profit with them. What are the challenges you need to overcome? Make enough profit to run the project. I see it as a mission rather than a job. Being helpful to young chefs and inspire them to find good farmers and to improve awareness on natural ingredients and learn more. One thing is that is about changing a culture, and as all change of culture it takes long time. Not being sponsored by corporations, collecting enough funds to run our events is another big challenge. Profits of GRE-EAT market are delivered to who is in need within our network by both offline and online campaign with celebrities like Sean as testimonials. Have you organized events with young people, who will be the ones who will most likely start this change of culture? We have been to university for lectures and we have also organized field trips to local farms. Students could meet farmers and learn more and ask questions. Practical knowledge is very important. 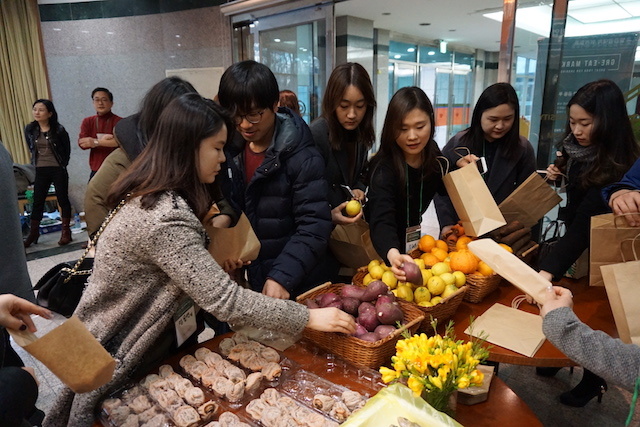 University students are important to change the society and new generation, and also is good for farmers so they can become more aware of how valuable their products are. What would you like to achieve with GRE-EAT project? 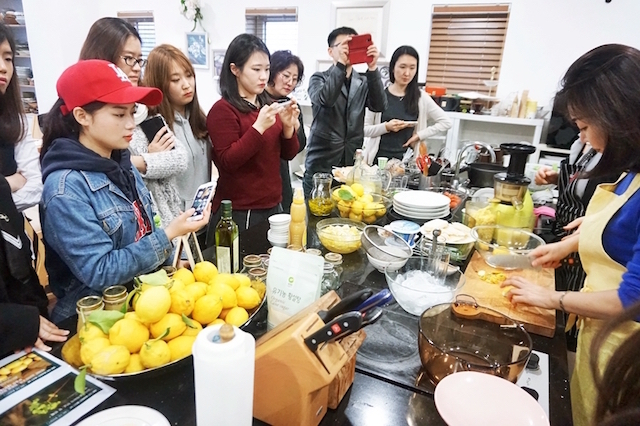 My long term goal, is that to make more and more people interested in healthy lifestyle and nutrition and at the same time promote healthy Korean ingredients produced by honest farmers.